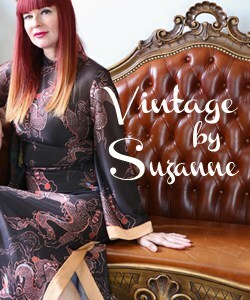 You know of my overwhelming love my vintage but did you know just how timeless and classic vintage is? Did you know that vintage can be worn at any age? Don’t believe that nonsense about vintage only being for twenty somethings or for those that didn’t live through that era. Hogwash! Vintage is for anyone that wants to stand out and make a memorable impression. 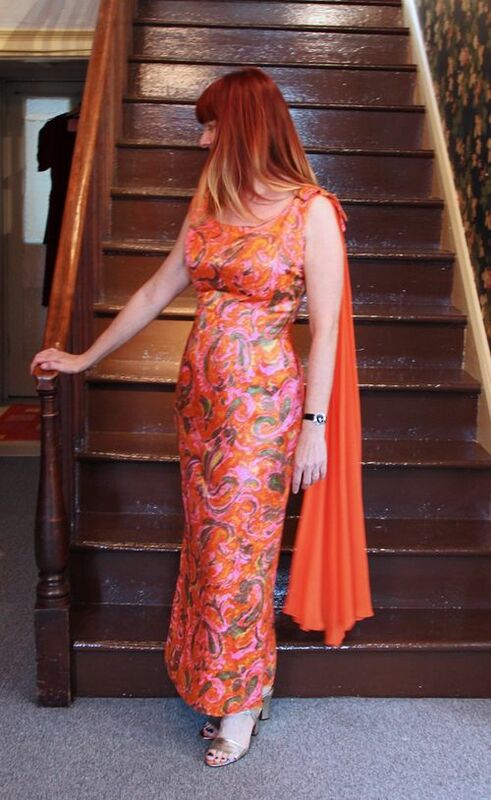 I was delighted when a lovely reader by the name of Karen contacted to let me know that her mother owned the exact same vintage dress as one of my all time favourites. Karen’s Mom bought the dress in the 60s or 70s. Recognizing a smashing quality keepsake Karen kept the dress for many years. She wore it recently to a family wedding this summer. Doesn’t she just look incredible? 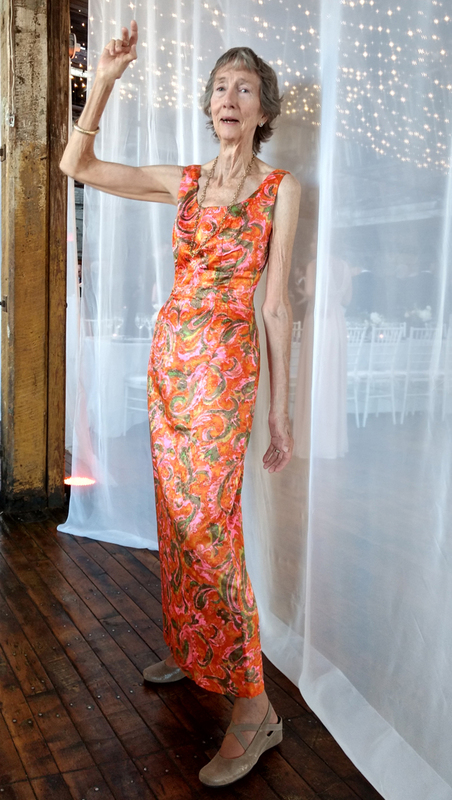 Karen is seventy and totally rocking this dress! Contrary to the common belief that vintage dates you this dress looks wonderfully contemporary. Proof that well chosen quality vintage never goes out of style. As I mentioned before this is one of my all time favourite vintage pieces I own and I’ve worn mine often. 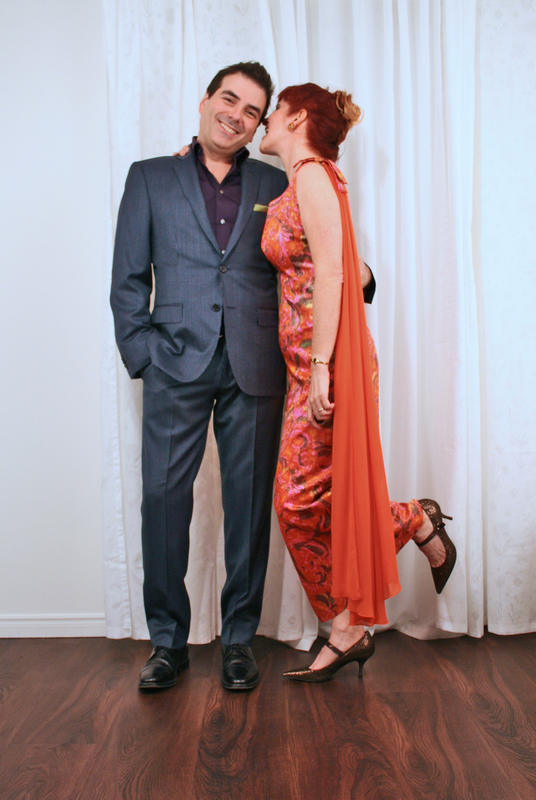 These first couple of photos were from the day I bought the dress when I felt like Ginger from Gilliagan’s Island. I’m very sad that the great shop I bought this at, Sweet Trash closed down. They still have a few pieces in their Etsy store. Oh the fun we used to have visiting that little shop in the quaint town of Elora. What a shame that so many great vintage stores I’ve loved have closed over the past four years. You can tell just how hard I fell for this dress right away. Who cares that it is a special occasion dress? 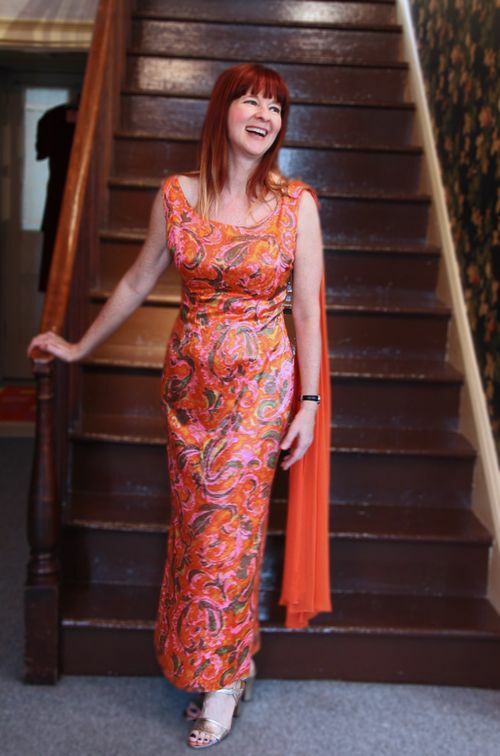 If you love the dress enough you will be sure to wear it, even if that means hosting a party like I did or simply wearing it out to buy cat food like my fabulous blogger friend Vix. Here are some photos from when I wore it out for New Year’s Eve. I wasn’t able to locate the rest of my photos from that evening. Below is when I wore it for a surprise birthday party. Yes that was one crazy party! 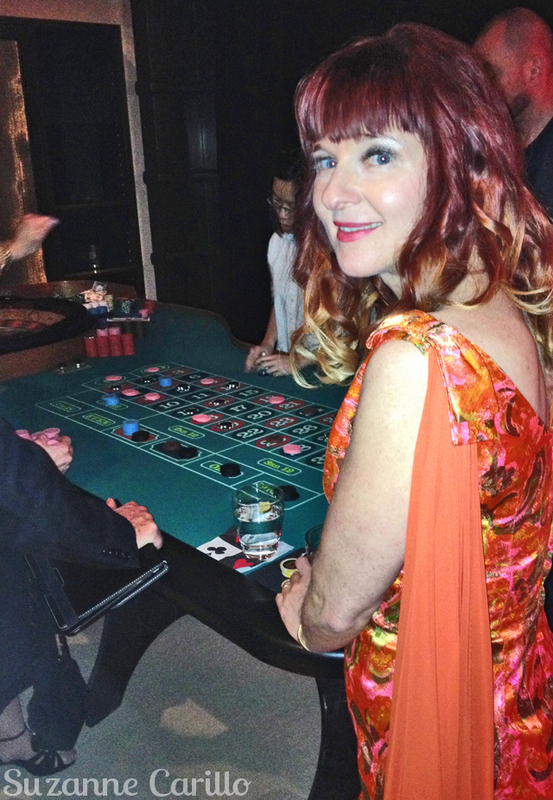 They turned the house into a mini Vegas with every kind of gambling you can imagine. It’s the first time I’ve played Roulette. I’m not a fan of gambling. Think of all the thrifting I could be doing instead! 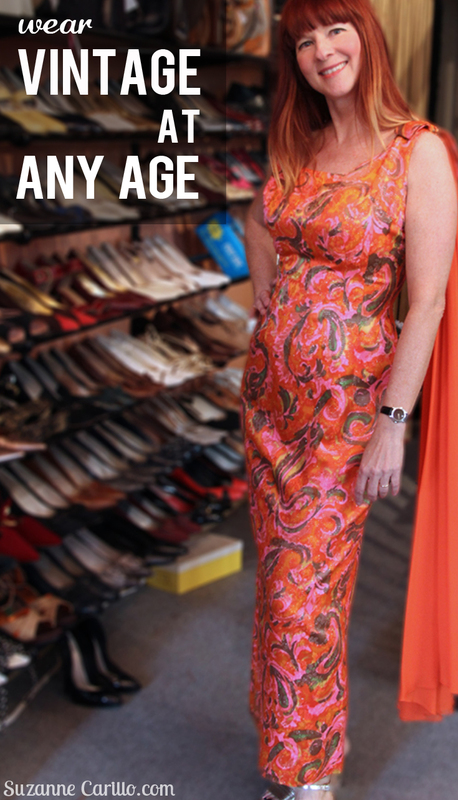 So when you think about wearing vintage clothing never worry about how old you are, worry about how fabulous you will look! Do you think that vintage clothing can make you look dated? Gorgeous dress and suits you to perfection. Wearing vintage doesn’t date you, on the contrary it makes the wearer look original and distinctive. I would love to wear more but the biggest problem with vintage is that it’s usually in the smallest sizes. I’m in love that you have a photo of someone wearing that exact same dress!!!! That’s the best ever, and she does look fabulous!! 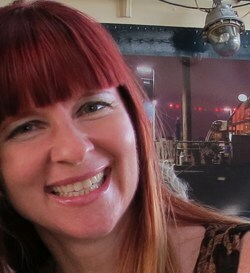 I was so very pleased when Karen contacted me and allowed me to share her story and photos. Vintage or not, when it is quality or comfy, its a keeper! You and Karen’s Mum both look absolutely stunning! How a brilliant to have the same dress. If a third ever turns up I want it!! That’s a sign of a great evening, when you can’t find photographic evidence! this dress is totally fabulous on you, and it looks heavenly on. Vintage , when well curated, as you do so well, is amazing. Yes, sad to see the small shops disappear ..a troubling trend. You do look like Ginger! The other day I saw someone serving in my local secondhand store wearing a vest I donated. Not quite as glamorous! Suzanne, you are a poster woman for this topic. You look smashing. And Karen totally rocks her dress too! It’s sad when the little vintage shops close down. I just hope it’s not a trend that the big box thrift shops are taking over. That photo of you and Robert reminds me of that great ’70s deodorant ad with Diane Keaton, do you know the one? She nips her guy’s ear. Heh. Priceless. But you are both dressed much better. I loved the dress and I loved that the reader wrote telling that her mother had it, too! Yes, she rocks it! I also loved the pictures of new year’s eve, with amazing shoes, too! And I am the same – I don’t gamble, but I would be curious to try it at least once 🙂 I really loved the pictures! Sad that the shop closed… and some vintage shops closed over the past 4 years… but hopefully many open from now on – I love vintage items! I hope you have a lovely week! Bisous! That is such fun! Karen knows to pick a treasure! What a great photos! This is a perfect testimonial to the wonder of fashion in it’s ability to change our attitude, raise self esteem, immerse ourselves in a fantasy and just evoke the happy dance!! I love you in orange Suzanne. I also love revisiting your past posts. You and Robert are clearly well matched! It is a perfect dress and made for you. I would wear it to the shops to buy cat food. Why not. One can never be overdressed. You would certainly look better than anyone else. I definitely think that vintage can be worn at all ages! I don’t plan to stop wearing mine any time soon 🙂 That dress is killer, and it looks great on both you, and your reader’s mother. That’s so fun that you both have matching dresses. Drives me batty when I hear women say they can’t wear vintage because they’re too old. I did a blog post on this very same subject a while back. Many of the styles from back then are so classic that they are ageless. And I certainly see many “older” women wearing the latest trends, which are pretty much reinventions of something they or their mom’s wore at one time. I am so happy to see Karen in her Mom’s dress, who obviously had great taste. It’s admirable that she kept it AND wore it. And I do see the Ginger/Gilligan’s Island connection. I could totally picture Tina Louise in it. lovely to see you wearing your fabulous dress, and also lovely to see Karen’s mom rocking too! That proves that a dress can be worn by different ladies in different styles and look fabulous on every of them! And vintage doesn’t make you look dated!, so sad that some people could think that way! 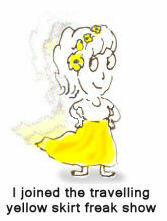 Last time I worn an ‘occasion’ dress and a massive hair piece, I had to take a crowded city bus. No problemo! I can see why this is one of your all-time favorites. You put it on and you’re transformed into a glamorous star. Not that you weren’t a star before putting it on but this dress definitely brings that quality out! Same for Karen. You both are simply radiant! Thanks for all your kind comments. 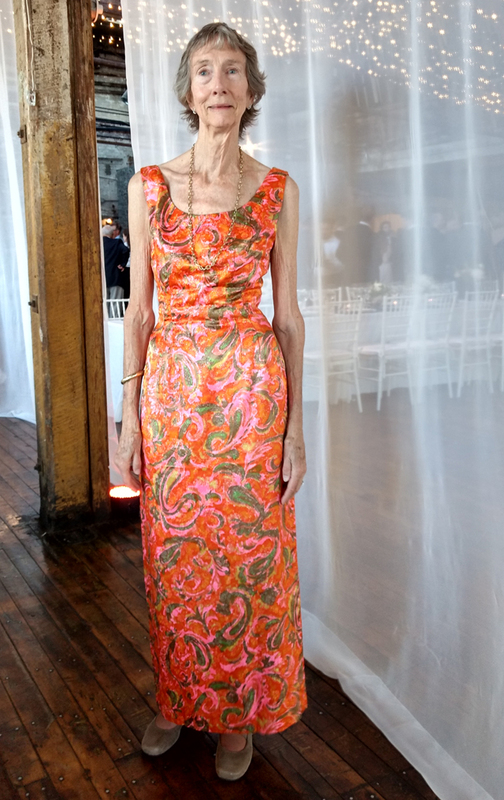 It was such a pleasure to wear Mom’s dress to my niece, Mom’s granddaughter’s, wedding. The bride loved it too, because she never got to know her grandmother who passed the same year she was born. Now I have some concerns about cleaning the dress, which I doubt has been cleaned in 35 years. I worry about turning it over to a dry cleaner who may clean the pizzazz out of it. What do you think? How do you care for your dress, Suzanne? Thanks. I’m always afraid of washing delicate items as well Karen. I have found that hand washing in Woolite for delicates and then hanging to dry works quite well.